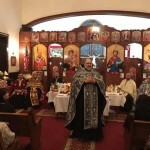 On Friday, April 5, Archpriest Igor Tarasov, Rector of St. George Church and Chancellor of the Patriarchal Parishes in the USA was invited by the clergy of the Romanian Orthodox Metropolia in America to celebrate the Mystery of the Anointing of the sick at the Life-Giving Fountain Romanian Church in Long Valley, NJ. 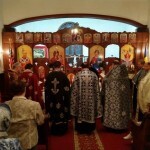 The Mystery of the Anointing was celebrated traditionally by the seven priests. 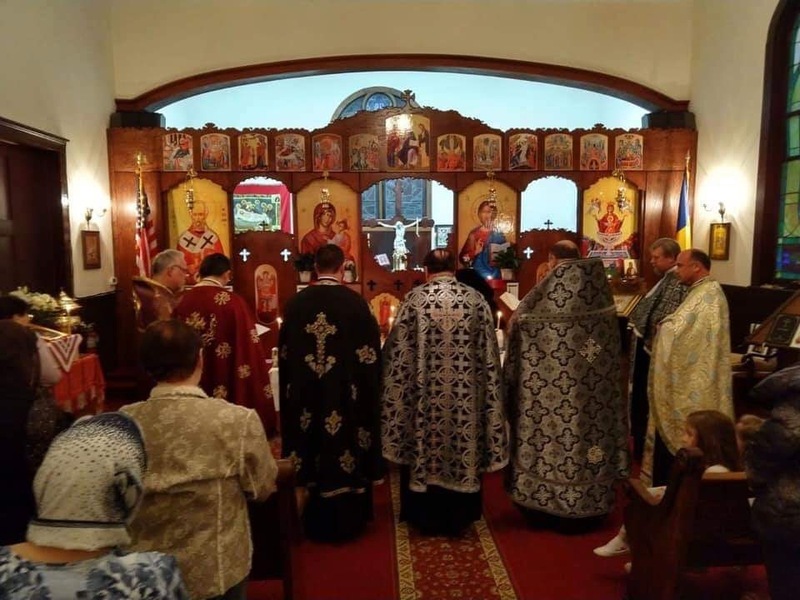 The local Dean of the Romanian Metropolia was heading the celebration, being co-served by four Romanian priests from New Jersey, New York, Connecticut, and Pennsylvania. 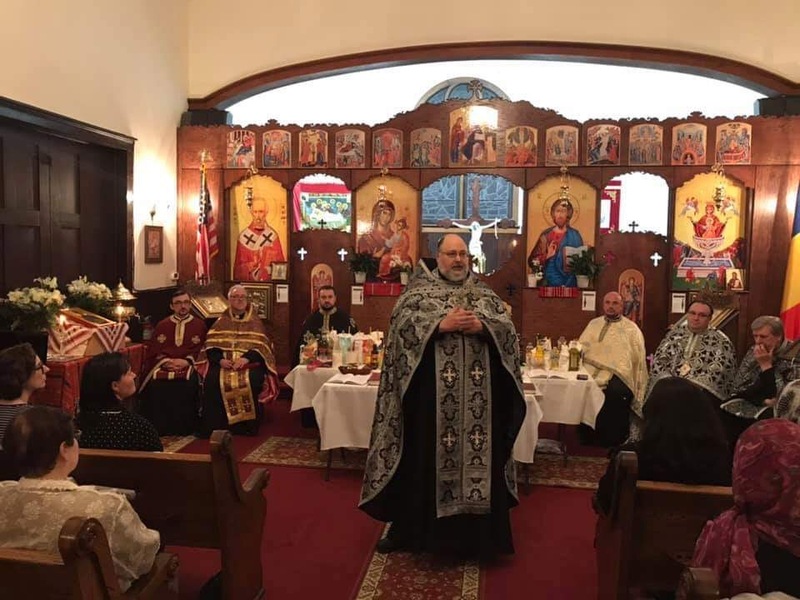 Our Patriarchal Parishes were represented by Fr. Igor and Priest Andrew Massey, Rector of the Holy Cross Church in Hackettstown, NJ. 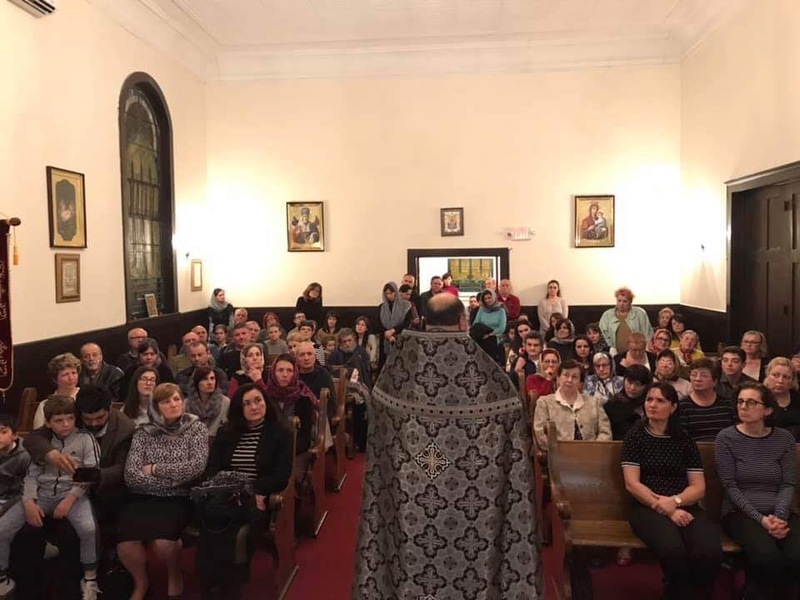 According to the Romanian tradition, this Sacrament for all the faithful willing to receive it is always celebrated during Lent. 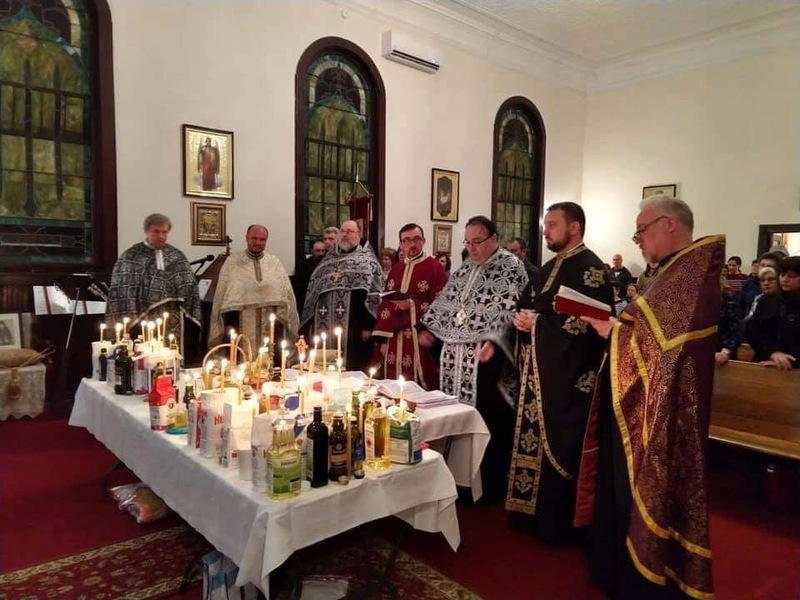 Also in the Romanian Church the anointing by the blessed oil is administered only after the office of the Sacrament but by the seven priests, so each person is being anointed seven times but in one ceremony. Fr. 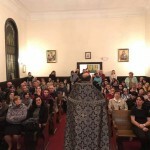 Igor proclaimed the second Gospel during the celebration. After the dismissal of the service he preached a short sermon about the significance of the Sacrament for the healing of soul and body. Then a long sermon was preached by the Dean. 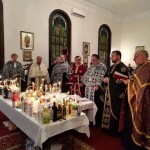 At the end all the faithful present received the anointing by the blessed oil.